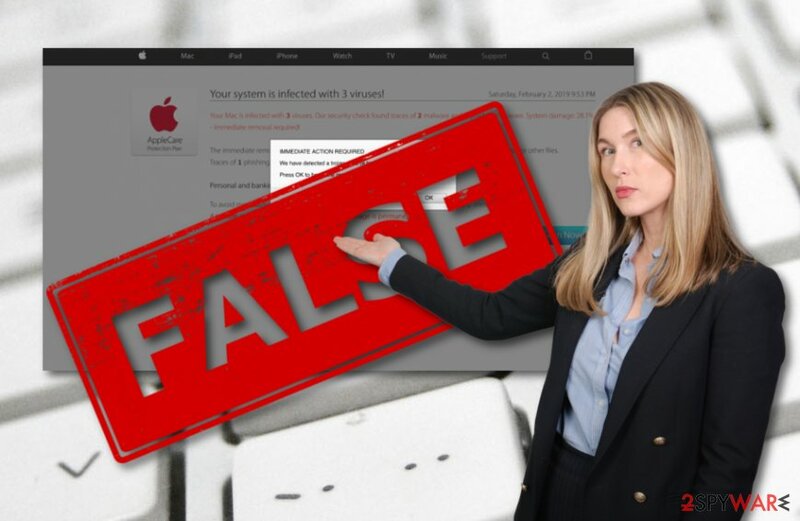 Apple.com-scan-macbook.live is a fake pop-up scam which bombards Mac users with false virus alerts. The message claims that there were three viruses detected one of which appears to be a Trojan horse named Apple.com-scan-macbook.live. A more legitimate look is given to the message by making it look like it is coming from Apple itself. However, all this information about system damage and the need for immediate repairing is just a trick to convince users to press the “Scan now” button. If you do click on this option, you will supposedly be redirected to a page or a new window that promotes questionable computer cleaning software, e.g. Mac Keeper. Additionally, users have been complaining about very similar scams that claim almost the same as in this one, however, they admit that the AppleCare Protection Plan logo truly does give a legitimate look to the pop-up message and it is easy to get tricked by it. As we have already mentioned, Apple.com-scan-macbook.live pop-up has the intention to show up on rogue and protection-lacking websites. If this is the case, you should stop visiting these types of sites which are causing the scam to appear or get Adblock Plus adblocking tool which also might prevent various misleading pop-ups from appearing on the screen. However, if Apple.com-scan-macbook.live keeps on showing up frequently not only while browsing on unprotected websites, there might be some type of potentially dangerous software or rogue content installed on your machine that might be forcing the pop-up message to show up and display whenever you are trying to perform browsing sessions. In this case, you will need to scan your entire computer system with a reputable program and try to discover the cause of this pop-up scam. Mostly, adware programs are expected to be the ones that are provoking such activity. You can perform a full system scan with a tool such as Reimage and then remove Apple.com-scan-macbook.live from the Mac system. Apple.com-scan-macbook.live virus might also slow down your browsing activity if it starts producing misleading and intrusive notifications frequently. Additionally, the potentially unwanted program which is forcing this scam to show up might also leave rogue content in your web browser applications, including Google Chrome, Mozilla Firefox, and Safari. Apple.com-scan-macbook.live removal is the best thing you can do if you are dealing with the pop-up scam. It can be performed automatically by using specific computer software or by performing the step-by-step guide that is provided at the end of this article. If you choose manual elimination, ensure that web browsers are also fully cleaned from adware-related content. According to computer specialists from Virusai.lt, you can get your system infected with potentially unwanted programs or even malicious objects by completing downloads from free sources. Networks such as Torrents or The Pirate Bay do not fit the recommended security requirements, are illegitimate, and might include malware or suspicious content. For further control of your downloads, make sure that you pick the Custom or Advanced configuration mode rather than choosing the Quick mode. Various Quick & Recommended modes allow rogue content to slip in the system without even being investigated, while, by using the Custom configuration you can always keep an eye on incoming programs. Last but not least, it is very important to take care of automatical computer protection too. For this purpose, choose a reliable antivirus program and download it to your system. If you make sure that it is always updated properly, the program will definitely appear handy to you by allowing to perform full system scans and providing daily threat protection. 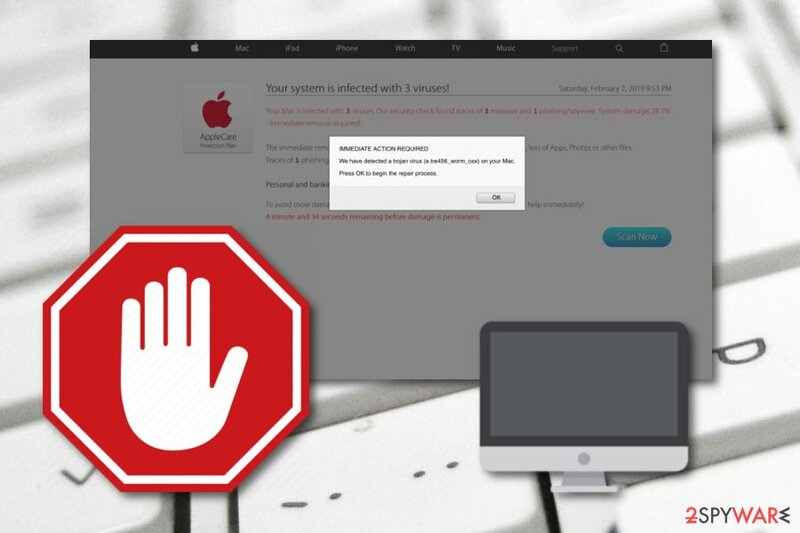 Various pop-up scams are intruders which interrupt browsing sessions and might slowdown both browsing and computing work. Apple.com-scan-macbook.live virus is not an exception. This cyber threat is supposedly caused by a potentially unwanted program if you are dealing with its appearance frequently and needs to be removed after discovery. To remove Apple.com-scan-macbook.live, you can use anti-malware software or complete elimination steps by performing the below-written manual removal guide. However, if you lack confidence in the virus removal field, we recommend postponing the solution of manual elimination for possible future threats and leaning on reputable tools. The Apple.com-scan-macbook.live removal needs to be completed safely and effectively, otherwise, there is a risk that the potentially unwanted program might renew itself through the components that have not been eliminated and are still lurking on the user's computer or are still installed in web browser applications. Wait until you see Applications folder and look for Apple.com-scan-macbook.live or any other suspicious programs on it. Now right click on every of such entries and select Move to Trash. When in the new window, check Delete personal settings and select Reset again to complete Apple.com-scan-macbook.live removal. Here, select Apple.com-scan-macbook.live and other questionable plugins. Click Remove to delete these entries. Now you will see Reset Firefox to its default state message with Reset Firefox button. Click this button for several times and complete Apple.com-scan-macbook.live removal. Here, select Apple.com-scan-macbook.live and other malicious plugins and select trash icon to delete these entries. Click Reset to confirm this action and complete Apple.com-scan-macbook.live removal. Here, select Extensions and look for Apple.com-scan-macbook.live or other suspicious entries. Click on the Uninstall button to get rid each of them. Now you will see a detailed dialog window filled with reset options. All of those options are usually checked, but you can specify which of them you want to reset. Click the Reset button to complete Apple.com-scan-macbook.live removal process. ^ What is a Trojan Virus?. Kaspersky Lab. Resource center. ^ bluebookmark. Your system is infected with 3 viruses!". Apple forums. Discussions. 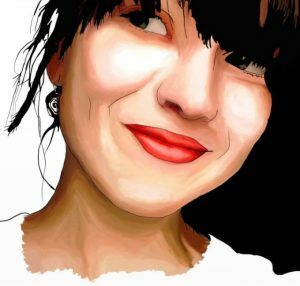 This entry was posted on 2019-04-13 at 05:07 and is filed under Adware, Mac Viruses, Viruses. You can quickly scan the QR code with your mobile device and have Apple.com-scan-macbook.live manual removal instructions right in your pocket. How did you remove Apple.com-scan-macbook.live?